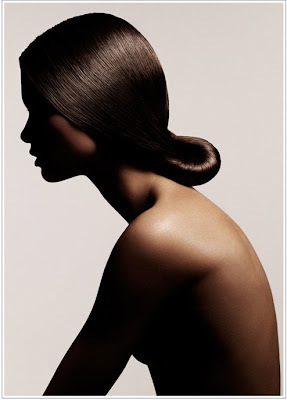 Day 11 - "The hair is the richest ornament of women." I am a hair-nerd! I love trying new products, specially shampoos & conditioners which are in fancy bottles. 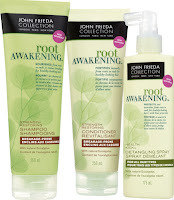 Recently, I tried this new shampoo by John Frieda, after reading rave-reviews about it in the magazines. It is actually good. It smells like I-have-died-and-gone-to-heaven and my hair honestly feels so smooth and shiny! I have naturally straight but fine hair, which get a little fizzy (but only in humidity). It looks like I am doing a product-plug on my blog, but I really just wanted to share this with my friends. I know quite a lot who love shampoos & conditioners (like me). Today hubby was craving a burger so I quickly fixed a home-made healthier version of burger. Toasted whole-grain bun with (fat-free) cottage cheese spread along with lettuce, tomato, red onion, cucumber, and grilled chicken breast. On the side there was Cous-Cous with boiled chickpeas and colored-peppers garnished with chillies and lime juice. Sounds Yumm, no? Another connection between hair and healthy lifestyle...my stylist tells me that she can tell when people eat healthy. Their hair grows that much faster. Of course it means more trips to the salon, but, hey, I am not complaining! Meetu D - Thanks! It's some firangi model in the pic. My stylist says the same thing! That reminds me I need to make an appointment (as my hair grows fast too)!!! Hey! i had such long healthy hair n u got them cut.Now it may take a year 2 get it right. Indirectly ur complement come to me(wink). Mom - Stop complaining. Your hair looks amazing and it's good to change every now and than :o) But I didn't understand what were you saying about the compliment? I shall try the shampoo!! And "cuuute figure" girl, I think we should really go through the high school photographs- i am sure we will come with quite a few with interesting expressions and reactions!